The construction outside the city fortifications, resulted in the disappearance of certain buildings. As expected, the demolition plan they made, the Venetians engineers, could not be excluded nor churches. So around 1577 shattered foundation and Pine Church of St. Spyridon, which was built near the Jewish cemetery and had hosted for several years sacrosanct relic of the Saint. In that church, which today lost the trail of the Saint Spyridon in Corfu did his first miracle, giving light to the blind Theodore. For many years the party was that pilgrimage. Passers passing crossed themselves and everyone was talking about the paradox that miracle miraculous Prostate. 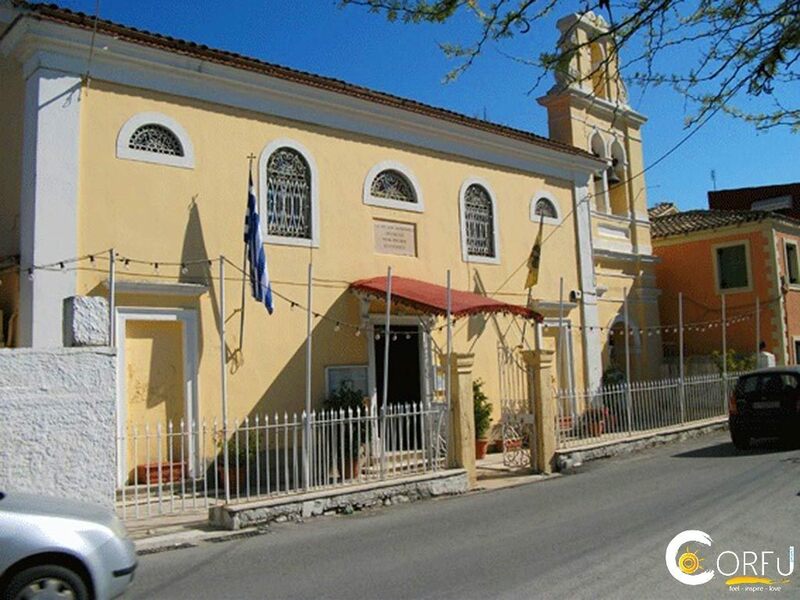 Since such feelings religiously driven and Sarokkiotis Constantine cobbler, wanting to honor the saint miracle in "Borgou" the (neighborhood) in early 1700 and decided builds a church in the field that had the gardener Sarokkou. How many years did not know to finish. What we do know is that on June 29, 1735, presented in Protopapas Spyridon Voulgaris, saying he made the Taksim and whenever they wanted to "physically labored to enthroniasei the temple built on the podium." The shoemaker in return promises to beseech Almighty for "the welfare of the Panaidesimotitos." The Protopapas was unable to "physically go away" and therefore instructed its launch in hieromnemon John Hunting. The Papa hunting together with other priests in the area goes on 13 July 1735 and inaugurated the Church "for the glory of God and honor the miracle of healing the blind in St. Spyridon." While living the getter interested in the maintenance and operation of the Church. Dying but left heir to his only daughter Chryssoula. Chryssoula married Theodore Alifieraki, but dies without children. So is the heir Chryssoula, the nephew of her husband Spyros Alifierakis. Spiros, the interests of the Church and to avoid the charges, with reference to the Senate of the Ionian State asks to grant the Church in Brotherhood. The Senate accepts the request and on May 29, 1815, to introduce the Church proclaims the peer. At first the neighbors became the first core of the Brotherhood. Later, however, because of the cemetery, which has meanwhile been created, added others and even well-off, leading to increased revenue significantly Temple. But because the church was small and could not meet the needs of the Sisters, the Council of the Church in 1880 forced him to grow up. The year 1961 again for the same reason, the Church Council, Rev. Duty. Reverend Sebastian Vassilakis, extends the temple on the north side only by four meters. The illustration of the Temple was by Kerkyrean hagiographer Charalambos thicknesses. All images are renaissance (end pasta) style. Famous for his art is the shrine of St. depicting the miracle of ommatoseos blank. The housing picture is silver and built by artist Spyros Kalarrytikos PAPAMOSCHOU. 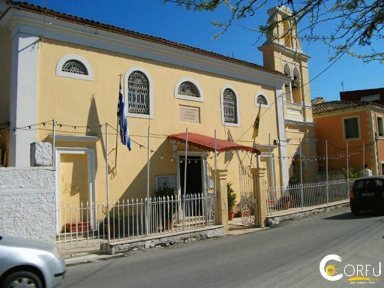 The church became a parish during the primacy of the Bishop of Corfu, Paxos and Diapontion Islands Athenagoras (1922-1929). The church celebrates on July 13 (in particular old note and celebrate on April 25, feast of St. Mark the Evangelist that is left of the abbey church).